This bioregional assessment helps us understand how coal seam gas and coal mining development could affect water resources and water-dependent assets in the Northern Sydney Basin bioregion. It identifies where potential cumulative impacts could occur, as well as the areas that are unlikely to be affected. 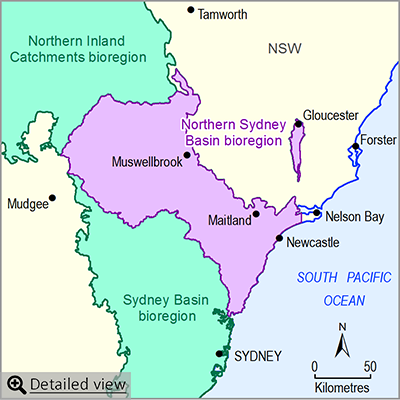 The Northern Sydney Basin bioregion is located east of the Great Dividing Range and is entirely within New South Wales. 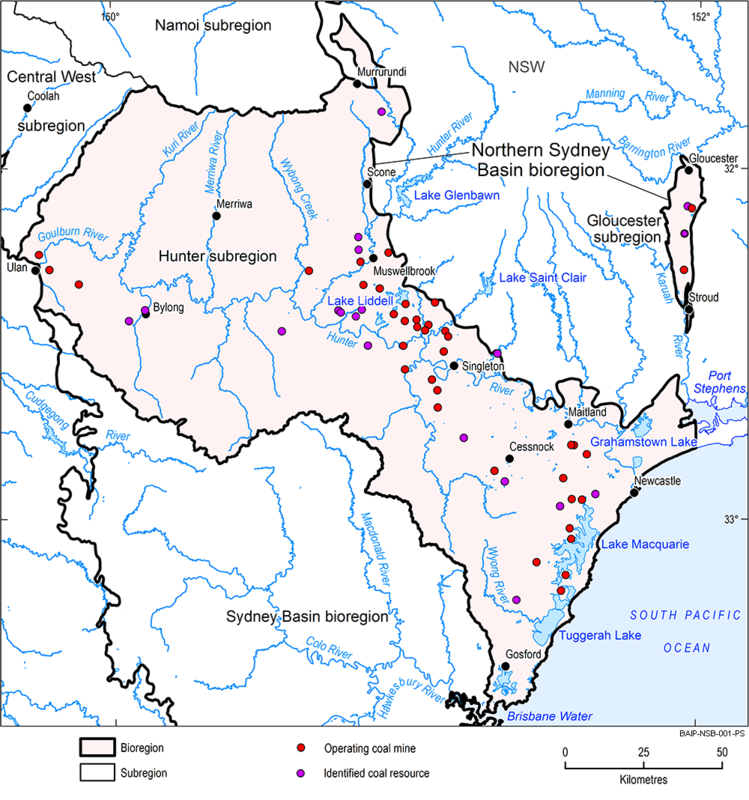 It adjoins the Northern Inland Catchments bioregion in the north-west, and the Sydney Basin bioregion in the south. This bioregion contains two subregions: the Gloucester subregion and Hunter subregion. The subregions were selected because they are areas of significant current coal mining development, the Gloucester subregion includes an assessment of the now terminated AGL coal seam gas development.